Organizations in the contemporary world are investing heavily in search engine optimization (SEO) and for many good reasons. The internet now influences almost every aspect of life and any public or private organization today must have some form of online presence to make an impact. Modern business is now online, and with the number of internet users now above 3.62 billion, it is imperative to rethink your strategy to get more visibility. The search engine is today’s directory, and if you choose your keywords carefully, it will be easier for targeting customers to find you. Keyword research has, therefore, become a core aspect of running a successful online business. Search engine optimization (SEO) is a proactive approach to guarantee your website is more visible on search engine result pages (SERPs). According to research, over 93% of online experiences start with a search engine. This calls for a solid SEO strategy to guarantee better ranking. The same study shows that 74% of Internet users never scroll past the first page of SERPs. If your content is not ranking on the first page for your target keyword, then you simply don’t exist. This is the reason why half of the indexed websites don’t meet their revenue objectives. According to analysts, it boils down to the choice of keywords. Ongoing updates to the Google algorithm means that the modern day SEO expert has to vary their keyword strategy in line with these new developments. You need to stay abreast of changes in the internet landscape, specifically as regards keyword research in search engine optimization. Traffic and conversion – One of the biggest SEO blunders over the years has been focusing on ranking while neglecting traffic and conversion. Using keywords wisely helps drive the right kind of traffic to your website, and this increases conversion rates. User experience –A disappointed page visitor is the greatest risk on the internet platform. Stuffing your content with keywords might temporarily get you a higher ranking, but you will notice high bounce rates and little conversion. What’s more, disappointed visitors will spread the word. Therefore, you need to do keyword research to find relevant and high-quality keywords. Strategy driver – Keywords can be used as a marketing campaign driver. Keyword search volumes will have an enormous impact on your business. Identifying the strengths and weaknesses of your set of keywords and phrases determines how well or badly your SEO campaign fares. Keyword density – When carrying out keyword research, you are able to determine the right keyword density depending on the length of your content. Google keyword density tool among other such tools can help you find the right mix of keywords for better ranking. Type of keyword – Short keywords was once the most preferred choice, but today, SEO specialists are advocating for long-tail keywords for better organic search ranking, voice search results, and rich answers. These aspects highlight the importance of carrying out a dedicated keyword research campaign. Lasvegas web is the right personnel and the best tools in the industry to find the right keywords for your content. Better still, these experts use the trending keyword strategies to prepare your website for the future. Like with all SEO areas, keyword research is rapidly changing. You need to leverage the trends in keyword research to remain relevant in your niche. The main question that every webmaster is asking is whether keywords matter anymore in modern SEO. Well, keywords still matter but what has changed is what goes into choosing your keywords. The importance of keywords will not change even with the advent of voice search, and this necessitates a new look at keyword research. Single Niche VS. Multi Niche. It is time to think differently about how people search for information in order to find immediate results. You have to think about all variations people would use to search for products or services in your niche. And use semantic keywords along with focus keywords in your content. Forget Google keyword planner for a moment and instead leverage Google trends, announced it which not only gives you trending suggestions but also useful information about the keywords. When Google announced its decision to hide keyword data from Google Analytics, many SEO companies complained, but in a real sense, the underlying implication was very helpful. In short, the search engine giant wanted webmasters to focus more on Google AdWords instead of keywords. The emphasis on keywords just for ranking immediately came under focus, and it is, therefore, important to also tweak your keyword strategy in line with this observation. For a start, you should never launch any SEO campaign without understanding your target audience. Part of this process should involve knowing what they are likely to be looking for. For instance, a car dealer in Arizona and another similar business in Alaska should not have similar keywords because buyers will be looking for different types of cars during different seasons. Create personas to understand your target demographics fully, and once you understand the search intent, you will find the right keywords. Simple keywords are now harder to use, but luckily, there are so many iterations of your keywords that you can use for better results. Using analytics tools will help you track and review landing pages metrics, the number of new deals, form submissions, and conversion rates among other results. All these will help you find the right keywords to boost your website’s performance. If you are not targeting long-tail keywords, then you are losing out big time. Three to four-word phrases are very specific to the products or services you are selling. These keywords lead to higher conversion rates because they are mostly used by users who are late in the buying cycle. These are people looking for something specific. How to find long-tail Keywords? 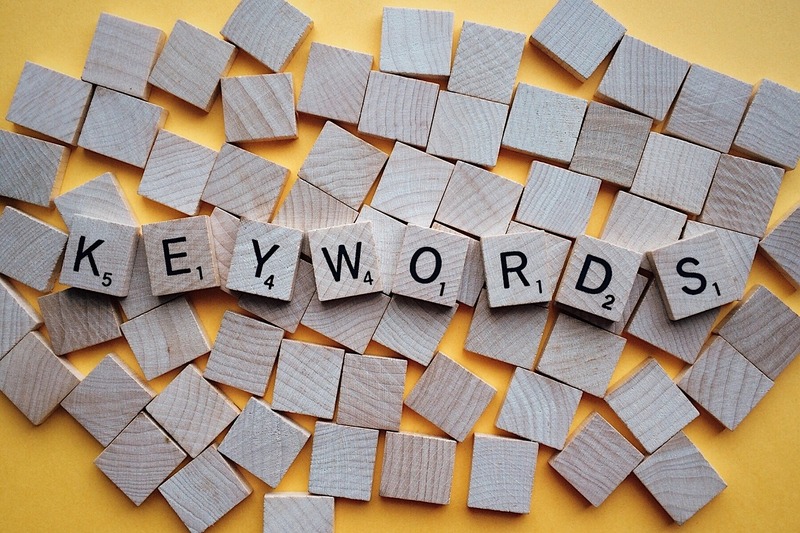 Whatever you might have read out there, keywords are not dead, and they are here to stay. What is going to change is their role in SEO. Finding the right keyword will become harder, and you have to rethink your keyword research strategy in line with these trends. Make sure you stay ahead of all keyword trends in SEO to stay ahead of the pack. Tim Jacobs is an established SEO consultant working with lasvegaswebdesignco.com. He has worked on many SEO projects in the industry. Tim is also a writer and mentor to upcoming SEO consultants. What you all need to know about Google RankBrain? Keywords will always be important in SEO as it is the basis of the search. Even I have written something similar on my blog. keyword research is the key to SEO because without research we cannot do a useful SEO, SEO done by only when you have a right keyword, otherwise without keyword research SEO is useless. great post Tim…i like to use long tail keywords with use of LSI keywords in my articles….though i don’t write long articles but try to be give as much information I can to my readers…I don’t know about the future of keyword research but I would like to keep experimenting with the keywords along with SEO…! !